Caspar Babypants Performing on Sunday! 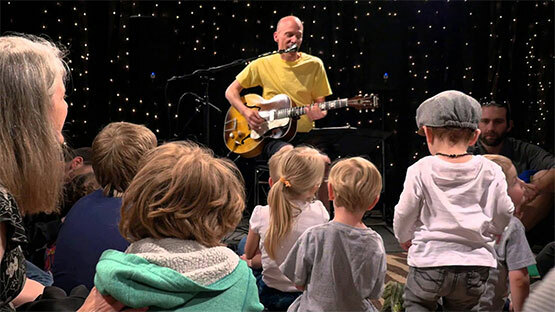 We’re incredibly excited that Caspar Babypants will be playing in the lobby on Sunday November 4th at Noon! This is an awesome performance for little kids (we’ve taken ours to see them many times in the past) and it will be totally FREE in the lobby at the main stage. You won’t need a ticket for this performance… though it’d be cool if you all want to come into the exhibition hall too. If you don’t know who Casper Babypants is, well it’s Chris Ballew who’s best known at the singer of The Presidents of the United States of America. Caspar’s first album “Here I Am!” came out in 2008 and to date they’ve released 14 albums. Not to mention they’ve now published some children’s books with Chris’s wife Kate Endle, who provides the artwork as well as artwork for all the album covers.